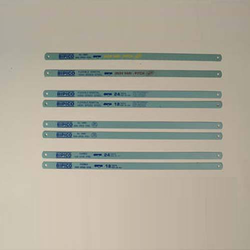 Customers have favored our firm for offering Hacksaw Blades in several provisions. - Used to cut steel and other metals. We are wholeseller and retailer for the HSS Hand Hack Saw Blades. We are stocking & dealing in Lenox, Miranda, Bipico & Asp blades. HSS Blades: These blades have exceptionally good wear resistance & cuts through all types of material including alloy steel & stainless steel. 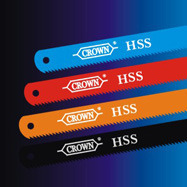 We specialize in offering a wide assortment of HSS Hacksaw Blades to our valuable clients. The entire range is procured from prominent brand Miranda, who make use of high quality alloy & other raw material to manufacture these products.